One of the Square Group concern is the Square Hospital Limited. The hospital is a healthcare unit with 400-bed. Square hospital is affiliated partner of the USA based Methodist Healthcare, Singapore based Sing Health, Thailand based Bangkok Hospital and India based Christian Medical College (CMC), Vellore. So many renowned physicians are joined in the Square Hospital, Dhaka from CMC, Vellore, India. There are some impeccable reputations physicians are from Bangladesh. It got huge emphasis on the quality nursing, as they have trained more than hundred nurses for one year. Here are nurse educators from the UK, Australia, Philippines and India. Technicians and nurses of the Square Hospital are received training from CMC, India and that’s an on-going process. The hospital is situated at the heart of Dhaka city, Panthapath in comprises of 2 buildings. The hospital’s main building is 18-stories that contain 136000 square feet. Both of the buildings are constructed with assistance of the US Fire & Building Safety standards. The capacity of the out-patient department is about 1200 patients daily with 60 examination rooms in it. The hospital ensures the expected healthcare-hospitality and the patients are monitored closely during the waiting times in the out-patient clinics, admissions and emergency. 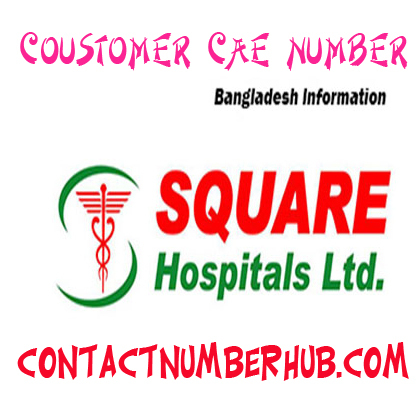 Square Hospital is aimed to offer unparallel healthcare services to Bangladeshi people with the highest possible care-level. As a result, they have invested a huge capital for the technology and equipment of the hospital. There are 30 foreign consultants from the USA, India, and UK etc. Medical services in the hospital are provided to both of the out-patient and in-patient along with ambulance service. Moreover, here is dental service also included in the medical services.